HOPE – The Hope Public Schools’ calendar for December grows more holiday spirit as the Christmas season draws closer. The annual Hope Bands Winter Concert will be performed Dec. 14 at 7 p.m. in the auditorium at Hempstead Hall on the University of Arkansas-Hope campus. The concert is open to the public free of charge. Performances will be delivered by the Yerger Middle School/Hope Academy of Public Service Concert Band, under the direction of Brandon Ellis; and, the Hope High School Concert Band, under the direction of Julie Gladden. The HPSD will observe its annual Christmas vacation break with after the dismissal of classes on Dec. 22. Students will return to class on Jan. 8. Dec. 14 – Parent/Teacher Organization Christmas Program; 6 p.m.; CPS cafeteria. Dec. 20 – Caroling at local nursing homes; schedule to be announced. Classroom holiday parties will be announced. Dec. 19 – The BHE PTO Christmas Program “Winter Wonderland;” 6 p.m.; BHE cafeteria. Dec. 12 – Parental Involvement Meeting, Party; 5:15 – 6 p.m.; YMS cafeteria. YMS Band is guest entertainment for event. Dec. 18 – 20, YMS Christmas Week: Monday, Crazy Christmas Socks; Tuesday, Christmas Sweaters; Wednesday, Santa Hats, Class Parties (seventh period). Dec. 4-15, HAPS Canned Food Drive for Hope In Action; donations accepted at HAPS office. Dec. 11 – 15, Penguin Patch Kids’ Holiday Shop – Inexpensive, family-friendly gifts for purchase by students. Dec. 18 – 22, HAPS Christmas Week: Monday, Crazy Christmas Socks; Tuesday, Christmas Sweaters; Wednesday, Santa Hats; Thursday, Holiday Characters, Class Parties (2:30 p.m.); Friday, Holiday Movies. Dec. 20 – Even period semester tests. Dec. 21 – Odd period semester tests. Dec. 22 – Make-up tests. 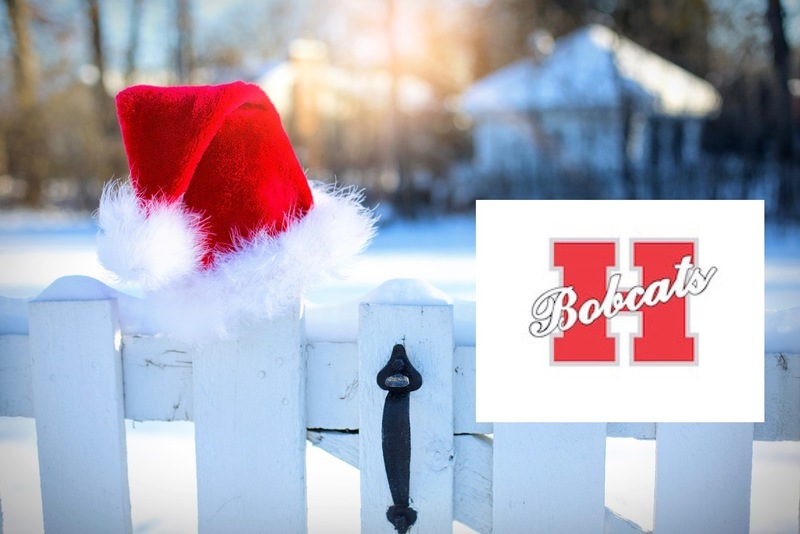 Dec. 22 – Faculty holiday luncheon; 12:30 p.m.; HHS cafeteria.